How time flies. The Tour Divide was 10 years ago today. Back when we were all using paper maps (and consequently getting lost every day) and bikepacking racing was a new, novel thing. My memories include: hike-a-bike over snow for hours, hopping over hundreds of downed trees, being attacked by thousands of mosquitoes, and having serious mud jamming since I wasn’t using disc brakes. I ran out of food in New Mexico. 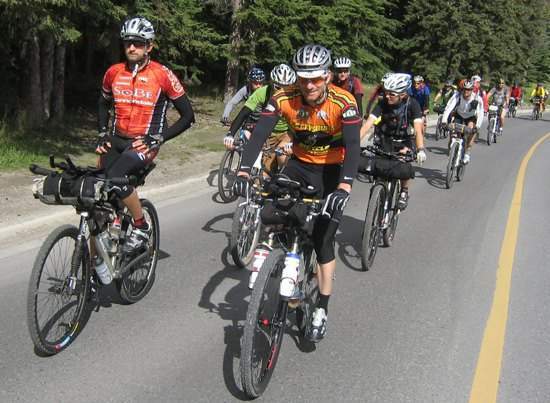 10 years ago today, a very small group of us set off on the inaugural Tour Divide Race. Thankfully this monumental bikepacking event was documented and became the film, Ride The Divide. Nowadays, ultra-distance, self-supported, cross-country bikepacking races are relatively commonplace, if still very much a fringe sport. But the Tour Divide was race that paved the way for them all. We were the first. Eight of the 17 of us finished. I crossed the border as #6. It’s still my greatest lifetime adventure.